At Carolina Dental Arts, our team highly values the health of our patients, and we use dental and digital X-rays in Raleigh and all of our locations throughout North Carolina to maximize our abilities to care for our patients. There are many benefits of X-rays, whether dental or digital. X-rays are essential in preventive dental care, as they provide our general dentists and dental hygienists valuable information that is not visible during a regular dental exam. We use this information to safely and accurately detect hidden dental abnormalities and provide the best treatments for your condition. If you are concerned about whether our NC dental X-rays are safe or not, we assure you that dental X-rays produce a low level of radiation and are considered safe. The amount of radiation exposure from a full mouth series of X-rays is equal to the amount of that a person would receive in one day due to natural radiation in our environment. 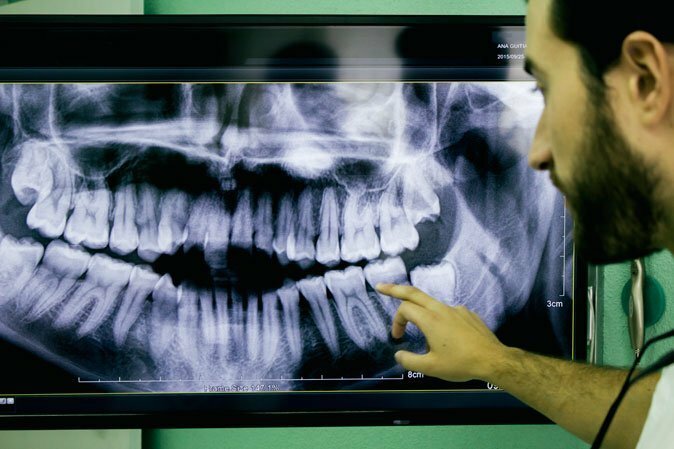 In addition, digital X-rays reduce radiation by 80-90% compared to traditional dental X-rays. Our dentists take the necessary precautions to limit the your exposure to radiation, such as using lead apron shields to protect your body and fast film that cuts down on exposure time. You can expect a full mouth series of dental X-rays every three to five years at when you visit our office for a dental exam. Contact us today with your questions about X-rays and to schedule your next appointment.